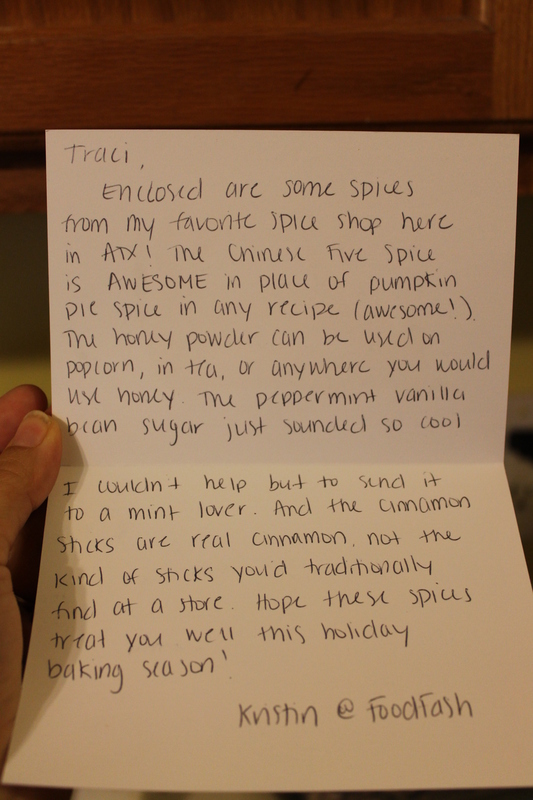 This is my second month participating in the Foodie Pen Pal. This time I was bought for Johanne. If you visit her blog, you can see what I sent her. Kristen sent me my package. When she asked me what I liked, I told her that I liked cinnamon and mint. 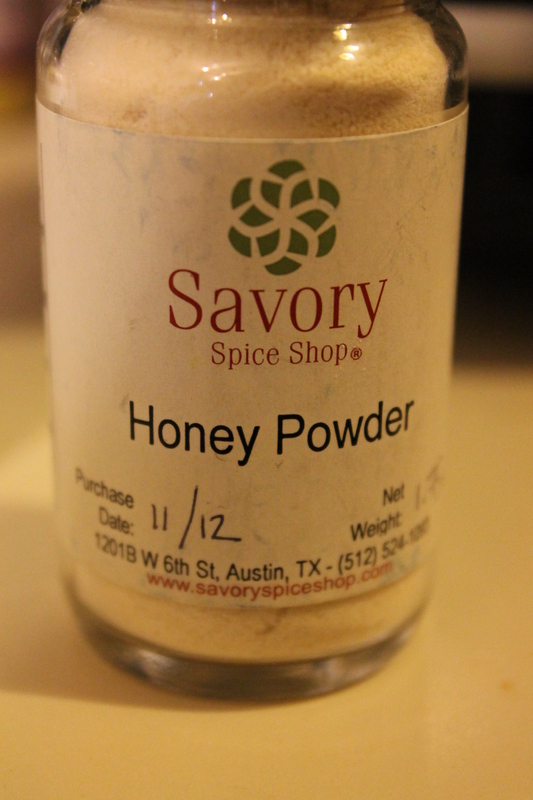 She went to a local spice store and got me some interesting spices, flavored sugar, and honey powder. 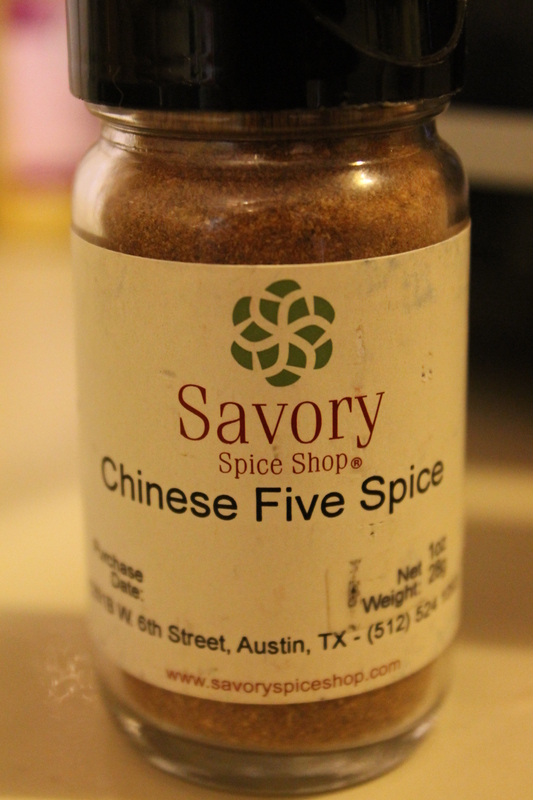 I’ve always been a little nervous with trying Chinese Five Spice. 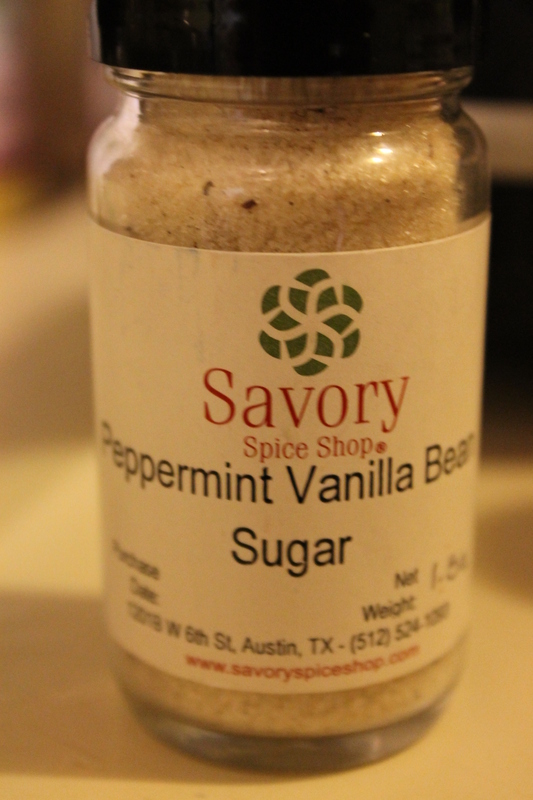 Kristen sent me a bottle and advised me to use in the place of pumpkin pie spice in baked goods. I used it in my crockpot cranberry sauce. So yummy! I also made some baked oatmeal and put it in. It was so delicious. It was also used as a topper for popcorn. My sons love popcorn so I air popped some and the boys ate some with butter and salt. My portion had EVOO and Chinese Five Spice. 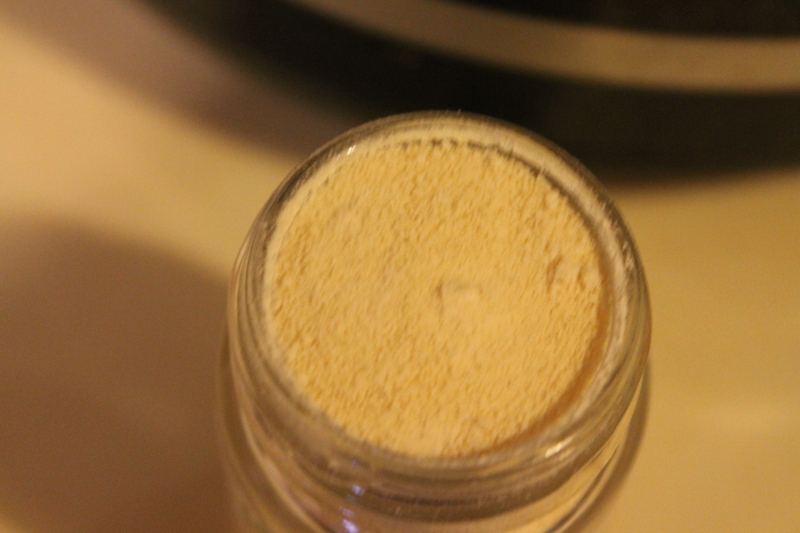 She also sent me a bottle of of honey powder. Hubby loves honey so he was intrigued with this. He was pleasantly surprised by the taste. The night I got it, I used it in a mug of hot tea. It added a certain depth of flavor to the tea. It was delicious! The next two items are my favorite! I love mint. In fact, I order lattes with peppermint when I go to coffee shops. My favorite tea is Tazo’s refresh tea which has different types of mint in it. I had some on air popped popcorn. It was so good. 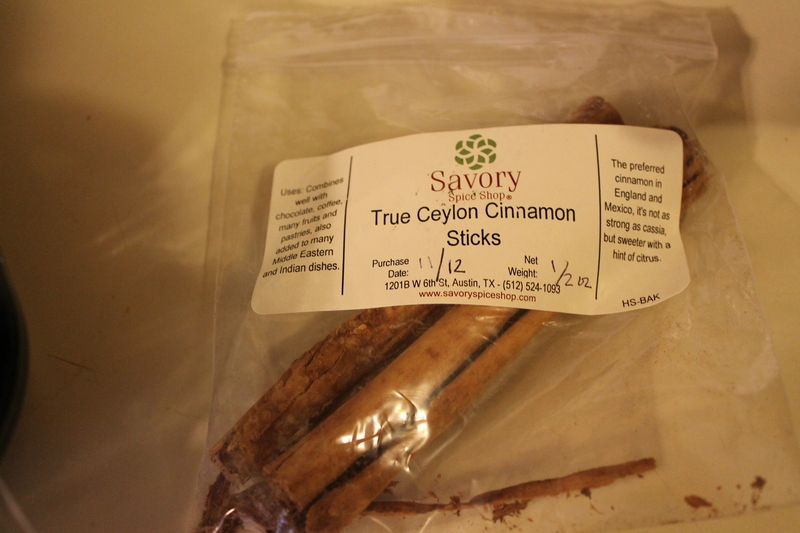 The last item was Ceylon “True” Cinnamon. 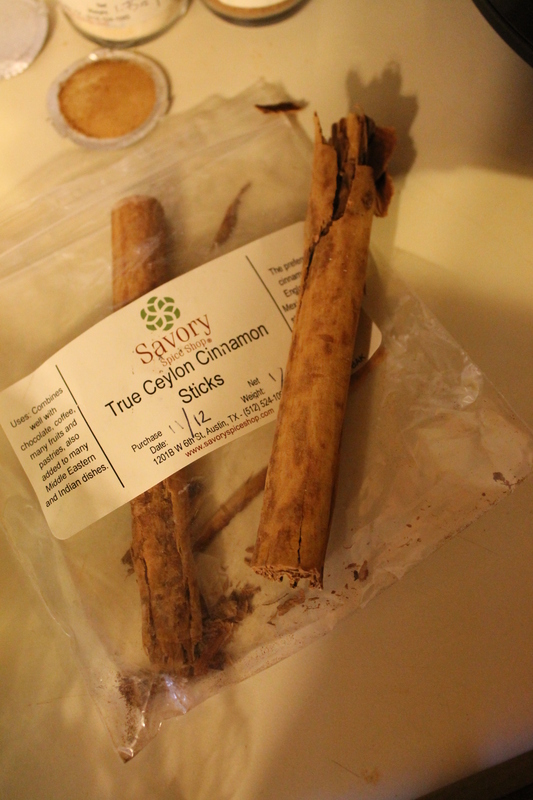 I love the smell and taste of cinnamon. I make Snickerdoodles every Christmas as part of my holiday baking. The Wee One needed cookies for a Thanksgiving feast at school. He asked me for Snickerdoodles. As we were making the dough and then baking them, he told me it smelled like Christmas. He identifies the smell of cinnamon as a Christmas smell. 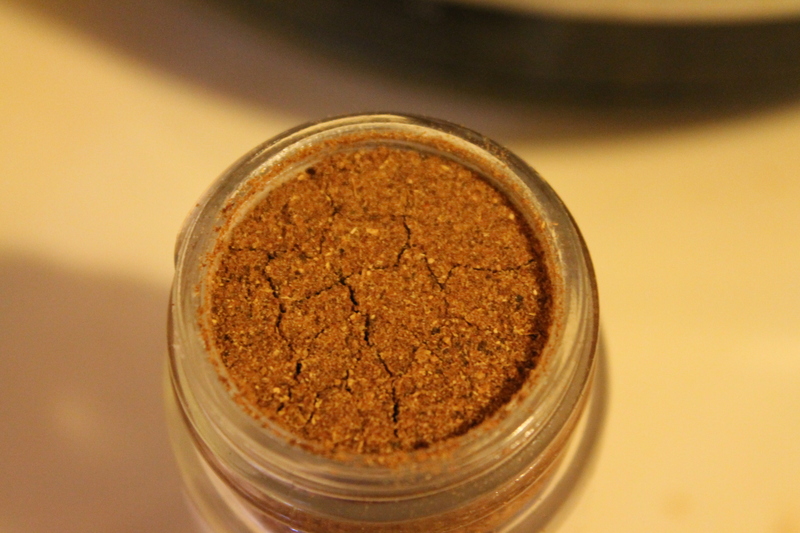 After I opened the bag with the cinnamon in it, I kept smelling it. At one point, I let the Wee One smell it. He then wanted to take it outside for his friend to smell it also. 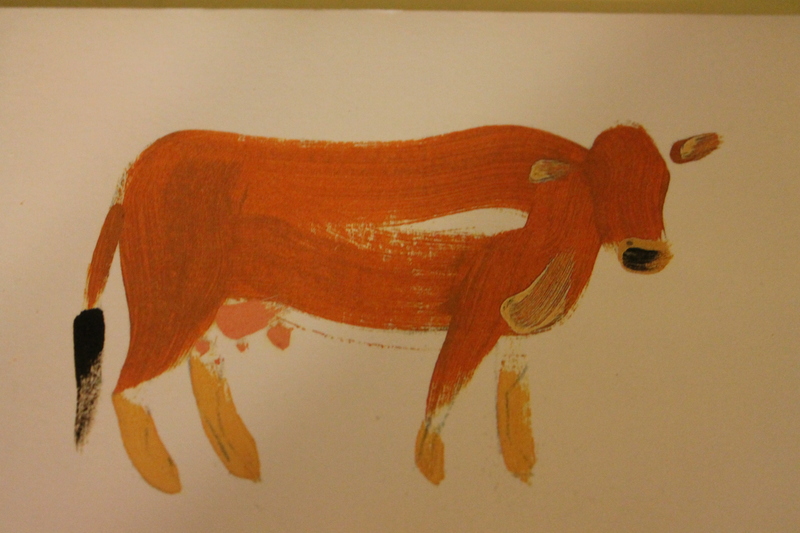 Kristen also sent me a card with a cow on it with a wonderful note. As soon as I walk in the door, the boys ask me what’s for dinner? This occurs at least 4 dozen times in the short time after I get home and before we sit down for dinner. They also try to sneak in snacks because they are so hungry!!!! I keep telling them dinner is going to be on the table shortly. Mysteriously they forget. This week starts a new/old challenge. I requested a transfer at work. I didn’t think they would allow it. Lo and behold they did. I’m going back to the elementary school starting Tuesday. I’ll be getting off of work at 3:30 instead of 2:25. An hour difference. I’ve got to be on too of my game. I’m going to be following one if Eat at Home’s menus this week with a few changes. I thought I had blogged about this before but when I was looking for it, I couldn’t find a blog entry about crock pot chicken. If there is one, I apologize. Cooking for a semi-picky eater is a challenge. The Imaginative One is often fearful about trying new foods especially if he doesn’t know what ingredients are in the meal. This is one of his favorite ways to eat chicken and he has requested it for a birthday dinner before. I wanted to post this recipe because I have a few future recipes that are going to use some of the left-over chicken. Any of the other left-over chicken is put in the meal size portions and then frozen for future meals. If there is any giblets and neck, remove those. Place the chicken in the crock pot. Breast side up. 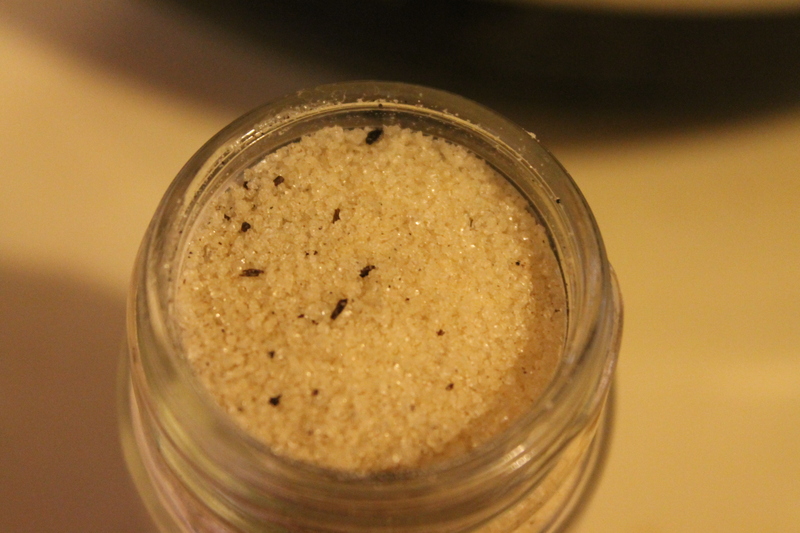 Season with salt, pepper, or any other spice – it’s your choice. Once cooked, save the juices for stock. Two days ago, I posted about the Foodie Pen Pals, I participated in. Shania who sent my package lives in the area stricken by Superstorm Sandy. She is a reader of my blog. I just want to let her know that my thoughts and prayers are with her and her family.